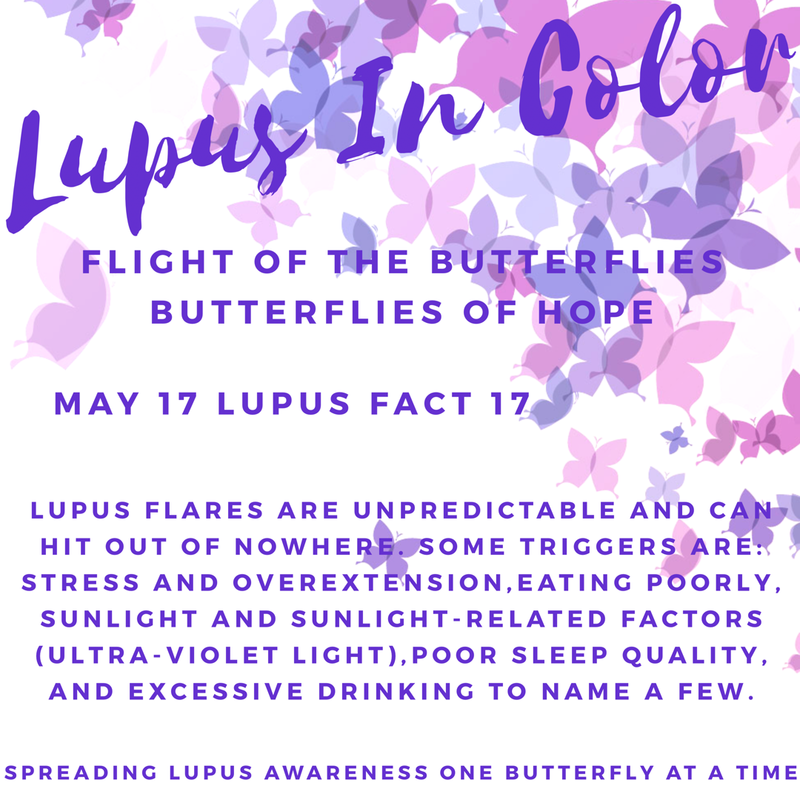 LUPUS FLARES ARE UNPREDICTABLE AND CAN HIT OUT OF NOWHERE. SOME TRIGGERS ARE: STRESS AND OVEREXTENSION,EATING POORLY, SUNLIGHT AND SUNLIGHT-RELATED FACTORS (ULTRA-VIOLET LIGHT),POOR SLEEP QUALITY, AND EXCESSIVE DRINKING TO NAME A FEW. This is your seventeenth butterfly of hope.